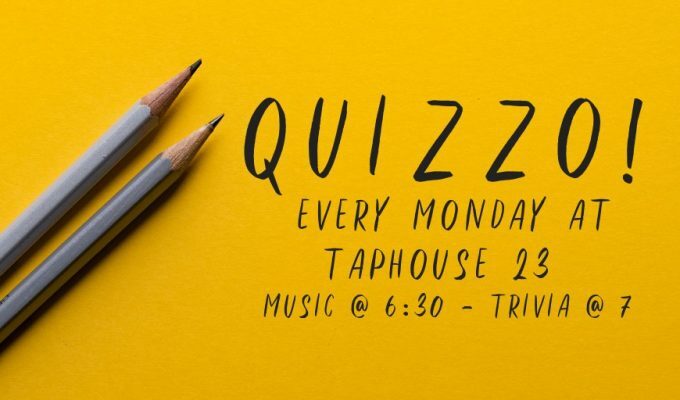 We’re happy to announce that JC Productions will be hosting Quizzo every Monday night with music kicking off at 6:30 and trivia at 7! Join us for fun trivia, great beer, and prizes, of course! Then, stick around for the Monday night game.